The Institutional Studies, Planning and Quality Area (AEPQ) includes the Prospective and Statistics Unit (NEP), the Studies and Projects Unit (E&P) and is divided into three functional areas: Assessment and Planning, Statistics and Prospective and Studies and Projects. The AEPQ manages also three different Tecnico Lisboa observatories: IST Graduate Employability Observatory (OEIST) , the Best Practices Observatory (ObservIST) and the University Rankings Observatory are also part of the AEPQ. 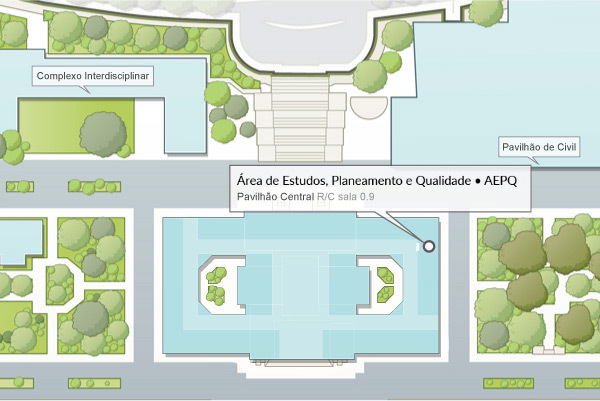 The Institutional Studies, Planning and Quality Area (AEPQ) of the Instituto Superior Técnico aims at assisting its central bodies through the elaboration of studies to support the decision-making process, which promote quality within the School and contribute to the optimization of its management and strategic development. Being recognized as a reference office for its technical competence in the areas of assessment, planning and prospective, is an ambition of the AEPQ, which is the driving force of the services it provides, whilst trying to motivate its collaborators. credibility– as AEPQ carries out assessment tasks, it is fundamental to build consensus with regard to its reliability, independence and integrity. to have a good interpersonal relationship – to be able to communicate one’s ideas and respect those of others.